Fenvalerate is a contact and systemic insecticide that belongs to the group of pyrethroid chemicals. It is used to fight off many insects, such as those that belong to the families of Lepidoptera, Diptera, Orthoptera, Hemiptera, and Coleoptera, blackfly, mosquitoes, and termites on cotton, soybeans, fruits such as apples, pears, peaches, and grapes, vegetables, and nuts. It works as a sodium channel modulator. It can be characterized as a yellow-brown liquid that is practically soluble in water. It is also stable to moderate heat and light and is easily hydrolyzed in basic environments. Fenvalerate has the molecular formula of C25H22ClNO3. There are several known side effects of fenvalerate, which include acute symptoms like burning sensation, cough, dizziness, headache, nausea, redness, tingling, itching, abdominal pain, convulsions, and vomiting. Moreover, similar to all other pyrethroid compounds, fenvalerate poisoning can cause irritation on the skin and eyes, irritability to sound or touch, abnormal facial sensation, sensation of prickling, tingling, or creeping on skin, and numbness. It can also cause headache, dizziness, nausea, vomiting, diarrhea, extreme salivation, and fatigue. In severe cases of fenvalerate poisoning, it can cause fluid in the lungs and muscle twitching. Exposure to fenvalerate can also cause irritation on skin eyes, and respiratory tract. In addition, prolonged or repeated exposure to fenthion may be detrimental to body organs. For it’s environmental side effects, fenvalerate is extremely toxic to fish, honey bees, and the aquatic environment. The body systems that fenvalerate negatively affects are the integumentary, respiratory, ocular, nervous, digestive, and muscular systems. 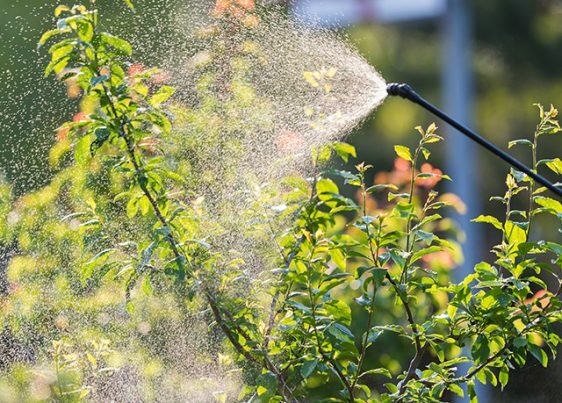 The items that can contain fenvalerate are those insecticide that are used to control a variety of insects, particularly those that are resistant to organochlorine, organophosphate, and carbamate insecticides. Some of the products that can contain fenvalerate can be identified under the trade names of Sumicidin, Pydrin, Belmark, and Ectrin. There are several methods on how to protect oneself from exposure to fenvalerate, especially for those people who work with the chemical. One of these ways is to have a proper ventilation or local exhaust in the workplace that maintain airborne levels below recommended exposure limit. In addition, it is advised to wear a breathing protection are needed in order to avoid breathing in the chemical. Moreover, it is advised to wear splash goggles or an eye protection together with an approved respirator in order to avoid it getting in contact with the eyes. In order to avoid contact with the skin, wear protective gloves and protective clothing, such as a full suit or a lab coat and boots that are impermeable and resistant to the product. Lastly, to avoid ingestion of the insecticide, refrain from eating, drinking, or smoking during work. It is also important to wash hands before eating and at the end of the work. Fenvalerate is a contact and systemic pyrethroid insecticide that is used to control a variety of insects, particularly those that are resistant to organochlorine, organophosphate, and carbamate insecticides. These include those that belong to the families of Lepidoptera, Diptera, Orthoptera, Hemiptera, and Coleoptera, blackfly, mosquitoes, and termites. Fenvalerate may cause burning sensation, cough, dizziness, headache, nausea, redness, tingling, itching, abdominal pain, convulsions, and vomiting. Fenvalerate poisoning may cause irritation on the skin and eyes, irritability to sound or touch, abnormal facial sensation, sensation of prickling, tingling, or creeping on skin, and numbness. It can also cause headache, dizziness, nausea, vomiting, diarrhea, extreme salivation, and fatigue. Fenvalerate poisoning, in severe cases, may cause cause fluid in the lungs and muscle twitching. Fenvalerate is extremely toxic to fish, honey bees, and the aquatic environment.